I've shamelessly stalked Hannah and Grant on Instagram since I saw Melissa Marshall photograph their elopement in Iceland a few months back. I then saw them model for Thrive Modern, which is a workshop I was accepted to and attended in August of 2017 so I knew these two had to be something special, and trust me, they did not disappoint. I love when couples are unashamedly themselves. Hannah and Grant were up to try any creative idea I had and soaked up time spent with the other person. I asked them how they got so comfortable in front of a camera and they simply said they realized if they felt awkward, they probably looked awkward so instead they chose to embrace and love each other and have fun with it. 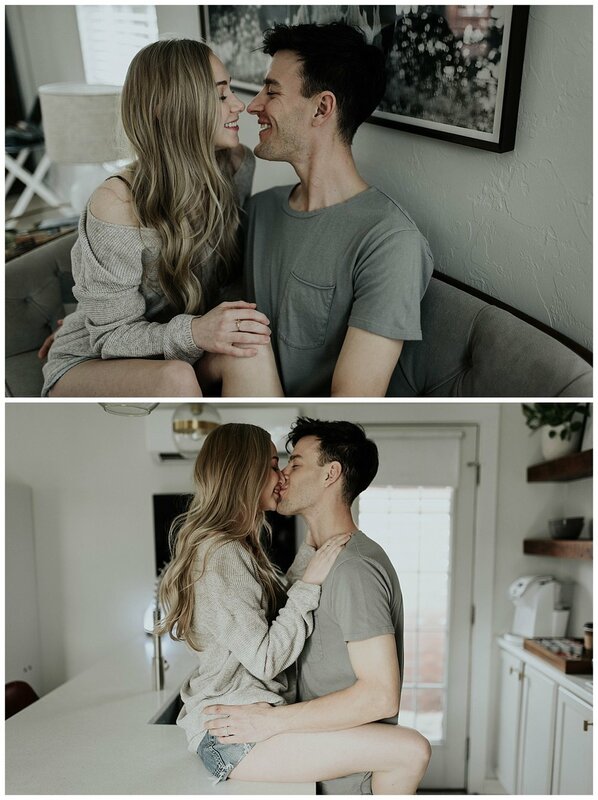 Trust me, you can tell they adore each other through these photographs!